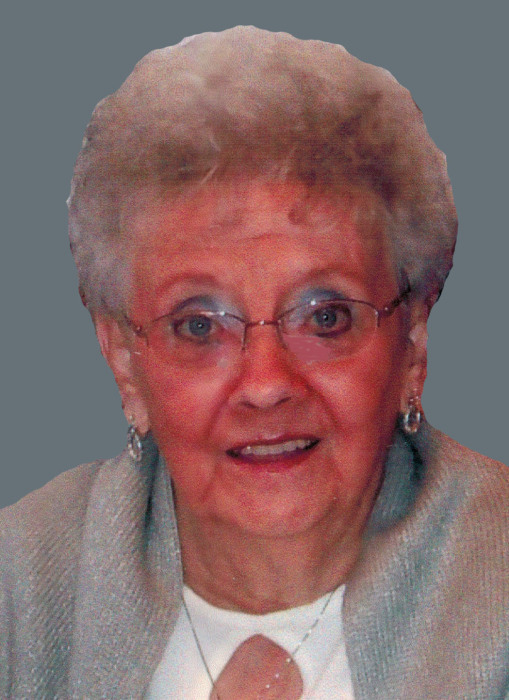 Funeral services to celebrate the life of Geraldine B. “Gerri” Jones will be held at 1:00 P.M. on Tuesday, July 24, 2018 at the McGinnis-Chambers Funeral Home in Bettendorf. Visitation will be from 11:00 A.M. to 1:00 P.M. Tuesday at the funeral home. Burial will be in Davenport Memorial Park. Memorials may be made to Unity Point Hospice. She was born in Davenport on August 13, 1929, the daughter of Henry and Sylvia (Krejci) Bormann. On September 3, 1949, she was united in marriage to Jack L. Jones in Davenport. He preceded her in death on August 18, 2011. Gerri was a teller at the Brenton Bank, Northwest Bank and the American Bank of Rock Island where she retired many years ago. She was a 35-year volunteer “Pink Lady” at Genesis Medical Center, East Campus and a former member of St. Mark’s Lutheran Church of Davenport. Gerri enjoyed playing cards with her family, looked forward to dinner out at the Family Square Restaurant, adored her grandkids and loved dark chocolate. In earlier years, she and Jack enjoyed frequent trips to Las Vegas and New Orleans. Those left to honor her memory include her daughters, Judith Jones of Davenport and Jill Utter of Durant, Iowa; her grandchildren, Todd and Val Jones, Amy and Mike Archer, Matt Jones, Brian C. and Jeni Utter, Brad and Erin Utter and Scott and Lindy Utter; fourteen great-grandchildren and two great-great-grandchildren; and her sister, Gayle Meier of Austin, Texas. In addition to her husband, she was preceded in death by her sisters, Henrietta Schroeder and Mary Margaret Gayman; and her sons-in-law, Brian L. Utter and Rod Byars.